Do you have a favorite plastic? 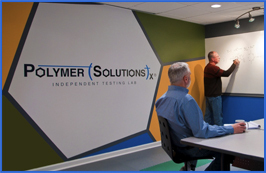 At Polymer Solutions, we have a list of polymers we admire, and polyethylene (PE) has a place of honor on it. It’s the exceptionally versatile polymer that’s most widely used in consumer products. Globally we use and produce about 80 million tons of PE every year, and chances are at this very moment something made from PE is within reach of your hand. Of course, as its name suggests, polyethylene is a thermo-plastic created from the polymerization of ethylene, a process that produces very long, very straight chains of hydrocarbon monomers. By adjusting the polymerization process, we can make those long chains bra nch, creating different kinds of PE. The degree of branching determines what kind is produced. While there are many types of PE, two most-common ones are low-density polyethylene (LDPE) and high-density polyethylene (HDPE). Just as PVC and CPVC are kissing cousins in the polymer world, LDPE and HDPE have a lot in common — and many differences, too. Produced through free-radical polymerization, LDPE has the most long- and short-chain branching of any form of PE, resulting in its lower density. The branching keeps the molecular chains from packing tightly in its crystaline form, so LDPE has less tensile strength but greater ductility. 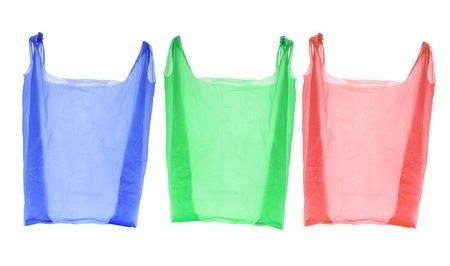 That exceptional “formability” makes LDPE particularly useful for a range of applications, from rigid products like plastic bottles, buckets and bowls to filmy ones like plastic grocery bags and plastic cling-wrap. Did you have cereal for breakfast? The lining of the milk carton and the plastic bag inside the cereal box were likely made with LDPE. On the opposite side of the polymer chain, we have HDPE, which is characterized by minimal branching of the polymer chain. Less branching means those nicely linear molecules pack together well during crystallization, making HDPE much denser and rigid. That added tensile strength means HDPE is the PE of choice for applications that require a bit more “backbone,” such as milk and detergent jugs, garbage cans, water pipes and children’s toys. It’s also one of the reasons why HDPE has largely replaced cardboard as the tube material of choice in making fireworks. An HDPE tube is less prone to shattering if a firework malfunctions, and once the boom inside the tube is exhausted, the HDPE tube is recyclable. While the different processes that turn plain old PE into LDPE and HDPE produce distinctly different results, there’s no denying they are exactly the same in the most important way — they are two versatile and hugely useful polymers! Kindly specify the ldpe & hdpe of various product. Previous Post: What’s Cool about Chromatography?